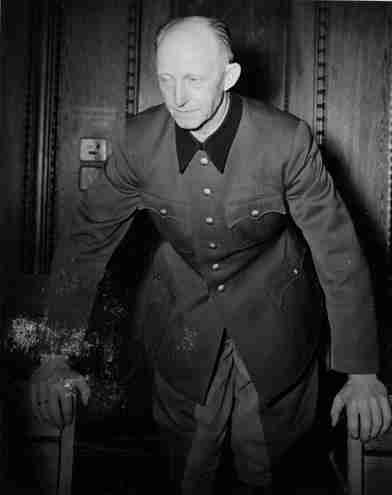 May 10, 1890: Alfred Jodl is born in Wuerzburg (Würzburg), Germany. From Jodl's IMT testimony: I was born in 1890 on 10 May. A great-grandfather of mine was an officer; my father was an officer; an uncle was an officer; my brother became an officer; my father-in-law was an officer--I can well say that the military profession was in my blood. As an officer, all party politics were entirely remote to me, and especially the offshoots of the post-war period. If I look at the background from which I come, the attitude of my parents, I must say that I would have been closest to the National Liberal Party and its ideas. In any event, my parents never voted anything but National Liberal. Note: As always, these excerpts from trial testimony should not necessarily be mistaken for fact. It should be kept in mind that they are the sometimes-desperate statements of hard-pressed defendants seeking to avoid culpability and shift responsibility from charges that, should they be proved, could possibly be punishable by death. The source for all items, unless otherwise noted, is the evidence presented to the International Military Tribunal (IMT) at the first Nuremberg Trial, between November 21, 1945 and October 1, 1946. 1910: Jodl becomes an officer in a field military regiment of artillery after graduating from the Cadet School in Munich. September 1913: Jodl weds Irma Graefin (Gräfin) von Bullion. The marriage will be an unhappy one and the couple will have no children. 1914: Jodl becomes a Platoon Leader--a commissioned rank at the time. 1914-16: Jodl is wounded twice while serving as a battery officer on the Western Front. 1917: Jodl serves for a short time on the Eastern Front before being transferred to a staff officer position on the Western Front. After the war Jodl will remain in the army, joining the limited post-war 100,000 man Reichswehr. November 11, 1918: The armistice between the Allies and Germany is signed in a railway carriage in Compiègne Forest, marking the end of the First World War on the Western Front. See: June 22, 1940. August 11, 1919: The Weimar Republic is founded as Reichspraesident Friedrich Ebert of the SPD signs a new German constitution into law. From Jodl's IMT testimony: True to my oath, I served the Weimar Republic honestly and without reserve. If I could not have done that, I would have resigned. Moreover, a democratic system and a democratic constitution was not at all a foreign idea to us southern Germans, for our monarchy was also democratic. 1920-1922: Jodl receives 'leadership training' at a camouflaged staff school. November 9, 1923: The so-called Beer Hall Putsch, or, variously, the Munich Putsch or Hitler Putsch, takes place in Munich. From Jodl's IMT testimony: The National Socialist Party I hardly knew and hardly noticed before the Munich Putsch. It was this Putsch which dragged the Reichswehr into this internal political development. At that time, with few exceptions, it met this test of obedience. But after this Putsch there was a certain cleavage in the views of the officers' corps. Opinions varied as to Hitler's worth or worthlessness. I was still extremely skeptical and unconvinced. I was not impressed until Hitler, during the Leipzig trial, gave the assurance that he was opposed to any undermining of the Reichswehr. May 12, 1925: Paul von Hindenburg is elected the second President of Germany. From Jodl's IMT testimony: I knew Hindenburg. I was assigned to him after his first election to the Reich Presidency when he spent his first vacation in Dietramszell. Then I spent a day with the Hindenburg family at their Neudeck estate together with Field Marshal von Manstein. I can only say that I admired him; and when he was elected Reich President for the first time, I considered that the first symptom of the German people's return to self-respect. 1932: Jodl is transferred to the Operations Department of the Reichswehr in Berlin. From Jodl's IMT testimony: I certainly knew that [the Reich Government in the year 1932 counted on the possibility of attempts to overthrow it and sought to save itself in this direction]. For when I came to Berlin at that time, I did not find in the later operational division any preparations for war; but I found preparations for the use of the Reichswehr in the interior of the country, against the extreme leftists as well as the extreme rightists. There were plans for maneuvers of some sort in that connection in which I myself participated. January 30, 1933 Machtergreifung: Hitler is appointed Chancellor of Germany by President Hindenburg. From Jodl's IMT testimony: The appointment of Hitler as Reich Chancellor was a complete surprise to me. That evening when I was returning home with a comrade, through the excited crowds, I said to him, "This is more than a change of government; it is a revolution. Just how far it will lead us we do not know." But the name of Hindenburg, who had legalized this revolution, and the names of such men as von Papen, von Neurath, [and] Schwerin-Krosigk exerted a reassuring influence on me and gave me a certain guarantee that there would be no revolutionary excesses. By appointing Hitler Chancellor of the Reich you have handed over our sacred German Fatherland to one of the greatest demagogues of all time. I prophesy to you that this evil man will plunge our Reich into the abyss and will inflict immeasurable woe on our nation. Future generations will curse you in your grave for this action. March 22, 1933: Dachau concentration camp opens near Munich, soon to be followed by Ravensbrück for women, Sachsenhausen near Berlin in northern Germany, and Buchenwald near Weimar in central Germany. From Jodl's IMT testimony: I was not anti-Semitic. I am of the opinion that no party, no state, no people, and no race--not even cannibals--are good or bad in themselves, but only the single individual. Of course I knew that Jewry, after the war and in the moral disintegration that appeared after the First World War, came to the fore in Germany in a most provocative fashion. That was not anti-Semitic propaganda; those were facts, which were regretted very much by Jews themselves. Nevertheless, I was most sharply opposed to any outlawing by the state, any generalization, and any excesses . . . . As far as I am concerned, that assertion [that we all of us cried, "Germany awake; death to the Jew"] is wrong. At every period of my life I associated with individual Jews. I have been a guest of Jews, and certain Jews have visited my home. But those were Jews who recognized their fatherland. They were Jews whose human worth was undisputed. June 30, 1934: The Night of the Long Knives, or the so-called Roehm Putsch, occurs. From Jodl's IMT testimony: These semi-military organizations sprang up like mushrooms after the seizure of power; but only the SA under Roehm tried to seize complete power. The witness Gisevius said here that there was no Roehm Putsch. That is correct, but it was just about to happen. At that time in the Reich War Ministry we were armed to the teeth, and Roehm was a real revolutionary, not a frock coat insurgent. When the Fuehrer intervened in June 1934, from that moment there were no more conflicts between the Wehrmacht and the SA. The Wehrmacht became all the more suspicious of the units of the SS, which from that moment multiplied in an extraordinary fashion. The Army, one can very well say, was never reconciled to this dualism of two armed organizations within the country . . . . In talking about the Fuehrer, I very often said that I looked on him as a charlatan; but I had no cause or reason to consider him a criminal. I often used the expression "criminal"; but not in connection with Hitler, whom I did not even know at the time. I applied it to Roehm. I repeatedly spoke of him as a criminal. I knew Roehm, but I did not know Adolf Hitler. I became convinced--at least during the years from 1933 to 1938--that he was not a charlatan but a man of gigantic personality who, however, in the end assumed infernal power. But at that time he definitely was an outstanding personality. August 2, 1934: President Paul von Hindenburg dies. From Jodl's IMT testimony: The union of the two offices in one person gave me much concern. When we lost Hindenburg, we lost the Field Marshal loved by the Wehrmacht, and by the whole German people. What we should get with Hitler, we did not know. It is true [that] the result of the plebiscite was so overwhelming that one could say that a higher law than this popular will could not possibly exist. Thus we soldiers were quite justified in taking the oath to Adolf Hitler. 1935: Newly promoted General Major Jodl becomes Chief of the National Defense Section in the High Command of the Army (Abteilung Landesverteidigung im Oberkommando des Heeres, or OKH). March 7, 1935: Hitler occupies the Rhineland. From Article 43 of the Versailles Treaty. In the area defined above [Article 42 defines the area, the left bank of the Rhine and the right bank to the west of a line drawn 50 kilometers to the east] the maintenance and the assembly of armed forces, either permanently or temporarily, and military maneuvers of any kind; as well as the upkeep of all permanent works for mobilization, are in the same way forbidden. From Jodl's IMT testimony: On 1 or 2 March 1935 [I first heard of the plans to occupy the Rhineland]; that is to say about 6 days before the actual occupation. I could not have heard of them any earlier because, before that, the Fuehrer had not yet made the decision himself. I must confess that we [Hitler's generals] had the uneasy feeling of a gambler whose entire fortune is at stake. I was neither an expert on international law nor a politician. Politically speaking it had been stated that the agreement between Czechoslovakia, Russia, and France had made the Locarno Pact void, which I accepted as a fact at the time. We occupied the Rhineland with approximately one division, but only three battalions of that went into the territory west of the Rhine; one battalion went to Aachen, one to Trier, and one to Saarbrucken ... they acted only symbolically . . . . There were serious reports [of a possible military conflict because of the occupation] that came from our military attaches in Paris and London at the time. I could not fail to be impressed by them. We suggested to Field Marshal von Blomberg then that, perhaps he ought to discuss withdrawing these three battalions west of the Rhine, on condition that the French would withdraw four to five times as many men from their borders. [This suggestion] was made to the Fuehrer, but he turned it down. He rejected very bluntly General Beck's suggestion that we should declare that we would not fortify the area west of the Rhine. That was a suggestion of General Beck's, which the Fuehrer turned down very bluntly ... there could not be any question of aggressive intentions. I can only say that, considering the situation we were in, the French covering army alone could have blown us to pieces ... nobody had aggressive intentions; but it is of course possible that in the brain of the Fuehrer there was already an idea that the occupation was a prerequisite for actions to be taken later in the East. That is possible; but I do not know, because I could not see into the Fuehrer's brain. For the operation [the reoccupation of the Rhineland] suggested in the last staff talks of the Armed Forces, I lay down the code name, "Schulung" . . . . This is a joint undertaking of the three branches of the Wehrmacht . . . . The operation must be executed by a surprise blow at lightning speed. Strictest secrecy is necessary ... only peacetime strength . . . . Every improvement of our armaments will make possible a greater measure of preparedness . . . . The High Command of the Army is asked: How many divisions ready for action? Reinforcement of the necessarily inadequate forces there by the East Prussian divisions that will be brought here at once by rail or sea transport . . . High Command of the Navy to look after the safe transport of the East Prussian troops by sea, in case the overland route is closed. From Jodl's IMT testimony: If you will permit me to make quite a brief explanation, then the Tribunal will be saved a [great deal] of time. I am not here as a clairvoyant; I do not know the document; I have never read it; at this time I was not in the Armed Forces Department--that has entirely different signatures--I was in the operations section of the Army. I neither saw nor ever heard of this paper. If you look at the date, 2 May 1935, it is proven there in writing, for I entered the Armed Forces Department only in the middle of June 1935. Thus, only on the basis of my general staff training can I give you some assumptions; but the Court [does] not want assumptions. It was before my time. I was not with von Blomberg then . . . . I heard the word "Schulung", for the first time here in the Court; and then I wondered what that could have been. Lieutenant Colonel Jodl: The demilitarized zone requires special treatment. In his speech of the 21st of May and other utterances, the Fuehrer has stated that the stipulations of the Versailles Treaty and the Locarno Pact regarding the demilitarized zone are being observed. To the aide-memoire of the French charge d'affaires on recruiting offices in the demilitarized zone, the Reich Government has replied that neither civilian recruiting authorities nor other offices in the demilitarized zone have been entrusted with mobilization tasks, such as the raising, equipping, and arming of any kind of formations for the event of war or in preparation therefor. Since political complications abroad must be avoided at present [in] all circumstances, only those preparatory measures that are urgently necessary may be carried out. The existence of such preparations, [and] the intention of making such preparations, must be kept in strictest secrecy in the zone itself as well as in the rest of the Reich. From Jodl's IMT testimony: I was [a member of the Reich Defense Committee] automatically from the moment I took over the direction of the National Defense Department. At the tenth session of this meeting of experts, on 26 June 1935, General von Reichenau designated me as his deputy . . . . In a few words: With this committee a unified mobilization, not of the Army, but the mobilization of the State and people, corresponding to military mobilization, was prepared. These plans were laid down in the mobilization books giving final figures and various stages of tension . . . .
We had learned about this from France and had adopted it. The French had a system by which mobilization was carried out in five stages according to the degree of tension existing. The purpose was to have some means at our disposal--as was customary all over Europe at that time--that would achieve an intensified readiness for war before the public order for mobilization was issued. It did not concern itself with armament at all. It had nothing to do in any way with political problems. It was concerned only with mobilization. Mobilization is a necessity for every possible war. The preparations in the demilitarized zones were connected solely with evacuation, that is the [surrender] of the areas west of the Rhine, in case of a French occupation . . . .
Keeping measures of this kind secret is taken for granted all over the world. For us in Germany, it was especially important, as for years the civil authorities had no longer been accustomed to concern themselves with military matters, and it seemed to me of particular importance that, in foreign countries no misunderstanding should arise by, let us say, the capture of an order of this nature--a very characteristic misunderstanding such as occurred in these proceedings in connection with the "Freimachung" of the Rhine. At that time we were even weaker than during the period when we had an army of only 100,000 men. This army of 100,000 men had been broken up into hundreds of small groups. It was the time of our very greatest impotence, and at that period we had to be extremely careful to avoid any and all tension with foreign countries ... there were the combat directives for the Grenzschutz fist. I had also worked out instructions for the commander in East Prussia, in case he were cut off from the Reich [by means of] a sudden attack by Poland . . . . There was no thought or talk of [any German intentions of attack at that time] whatsoever. I personally had nothing at all to do with armament in the real sense. That was a matter for the various branches of the Wehrmacht--the Army, the Navy, [and] the Air Force--and it was dealt with and handled by their organizational staffs. The Commanders-in-Chief discussed these matters with the Fuehrer directly. But I hope, and I will not deny, that my work in the General Staff contributed to the reconstruction of the German Wehrmacht. At that time I was of the same opinion as my superiors, and it was characteristic that on the day before the statement was made that 36 divisions were to be formed, Blomberg as well as Fritsch suggested to the Fuehrer that only 24 divisions should be formed. They feared a thinning down of the entire army. Perhaps they also feared too stormy a foreign policy, based on forces existing only on paper. Various stages were provided for. The first deadline set was 1942-43. Most of the West Wall was to be completed by 1945. The Navy's plan of construction ran on to 1944-45. Since it was not possible to achieve general disarmament, the objective was to establish military parity between Germany and the neighboring countries . . . . In 1935, when we set up 36 divisions, France, Poland, and Czechoslovakia possessed 90 divisions for times of peace, and 190 divisions for war. We had hardly any heavy artillery, and tank construction was in its earliest stages. The conception of defensive and offensive armament has been discussed here on various occasions. It would lead us too far afield to go into that in detail. But I should like to say only that as far as Germany was concerned, with her geographical position, this conception did not apply. The disarmament conference too, after months of discussion, failed because a proper definition for this conception could not be formed . . . . They were weapons and items of equipment of the Landespolizei, the Order Police, and the Gendarmerie. There were no troops there. Consequently, there were no weapons there for them. I have already testified to the reasons for keeping all these measures secret in detail during my direct examination, and I confirm that in all these preparations it was a question--in case of an occupation of the western Rhenish territory by France--of setting up a blockade along the line with the aid of the Police, the Gendarmerie, and the reinforced border guards. That was the intention at that time, only for this eventuality. I have already testified under oath that I learned about the occupation of the Rhineland only 6 or 8 days beforehand . . . . I only repeat the answer that was given to the French Chargé d'Affaires. I believe that that was essentially true: No mobilization tasks, such as disposition, equipment, and arming of formations for the event of war. There was no thought of war; no one mentioned it with even one word. From Jodl's IMT testimony: I believe this [assertion that I should have known that such a tremendous rearmament as the German rearmament could serve only for an aggressive war] can only be explained as an expression of military ignorance. Up to the year 1939 we were, of course, in a position to destroy Poland alone. But we were never, either in 1938 or 1939, actually in a position to withstand a concentrated attack by these states together. And if we did not collapse already in the year 1939, that was due only to the fact that, during the Polish campaign, the approximately 110 French and British divisions in the West were held completely inactive against the 23 German divisions . . . .
Real rearmament was only begun after the war had already started. We entered into this world war with some 75 divisions. Sixty percent of our total able-bodied population had not been trained. The peacetime army amounted to perhaps 400,000 men, as against 800,000 men in 1914. Our supplies of ammunition and bombs ... were ridiculously low. June 1937: Von Blomberg orders preparations for 'Case Otto,' which had been designed for armed intervention in Austria in the event of a Habsburg restoration. From Jodl's IMT testimony: It [Case Otto] was one of those typical standard preparations for war, for every conceivable eventuality. Such directives had come out every year in Germany ever since there was a General Staff and general conscription. These theoretical military studies made a distinction between two cases, namely cases of war which because of their nature were politically probable or might be probable, and cases which were improbable. As far as the former were concerned, a. plan of operations was to be drafted by the Army and the Air Force. For the latter, appropriate suggestions only were to be brought forward. If the Tribunal would turn to Page 21 of the document, there appears at the end of the page, Part 3, a sentence as follows: "The following 'special cases' are to be considered by the High Command in general without participation by regional authorities..." and among such cases, on Page 22, is the special "Case Otto." . . . . I did not participate in any discussions. September 6-13, 1937: The Nazi Party's 9th Party Congress is held in Nuremberg. From Jodl's IMT testimony: In the year 1937, in my official capacity, I participated the last 3 days in Nuremberg, when the Labor Service, the SA, and the Wehrmacht were reviewed . . . . [I did not participate in the commemorations at Munich that occurred every year on 9 November]. I really did not belong there. November 5, 1937 Hossbach-Konferenz: Hitler addresses Goering, Raeder, Neurath, and other political and military leaders at the so-called Hossbach Conference. From Jodl's IMT testimony: The first time I heard it [the Hossbach Memorandum] read was here in Court. Field Marshal von Blomberg informed Keitel, and Keitel informed me [at the time] that there had been a discussion with the Fuehrer. When I asked for the minutes I was told that no minutes had been taken. I refer to my diary [February 2, 1938] as proof of this. What I was told was not at all sensational and hardly different in any way from anything contained in general directives for the preparation of a war. I can only assume that Field Marshal von Blomberg at that time kept these things to himself because he may not have believed that they would ever be carried out . . . . There was no operational plan against Austria. I state that most emphatically . . . . I was not present at this conference. I do recall the things that were read here. I have already stated with regard to that, that the report that I received was in no way sensational. The directives for the preparations after this time are available to the Court in writing; what we prepared and worked out at the time is proved thereby. We have the orders of 20 May and of 14 June; they are available. The report about the more active preparations for the march against Czechoslovakia was, I believe, contained in these statements. But I can only say that the details that I received from Field Marshal Keitel are not in my recollection at present. I recall only one thing, that it was no surprise or sensation for me, and only small corrections of the directives which had been given out up to that point were necessary. November 5, 1937 Jodl's Diary: Fuehrer develops his ideas about intentions for future course and conduct of policy to the Commanders-in-Chief of the Armed Forces … the intention of L [Landesverteidigung]. From Jodl's IMT testimony: "Intention of L," that means the intention of the Department of National Defense (Landesverteidigung) to have these thoughts put down on paper and transmitted to the branches of the Wehrmacht. The chief of the Armed Forces Department informs me that the battle has been won. The Fuehrer has decided that General von Brauchitsch should be appointed Commander-in-Chief of the Army. February 4, 1938: Hitler abolishes the Ministry of War, assumes direct command of the Armed Forces himself, and creates the OKW (Oberkommando der Wehrmacht). General von Brauchitsch becomes Commander-in-Chief of the Army and Wilhelm Keitel becomes the new head of the OKW. This weakens the traditional Army High Command (Oberkommando des Heeres, or OKH) which is now subordinated to the OKW. Note: Walther von Reichenau was Hitler's first choice to succeed him, but older leaders, such as Gerd von Rundstedt and Ludwig Beck, refused to serve under him, and Hitler backed down. From Jodl's IMT testimony: General von Reichenau was known as a truly political general, and I was afraid that he might perhaps have no scruples in sacrificing all the good old tradition of the Army to the new regime. There was no doubt that the senior generals, such as Rundstedt, Bock, Adam, List, Halder, and so on, would never have subordinated themselves to von Reichenau. February 11, 1938 Jodl's Diary: In the evening and on 12 February General K [Keitel] with General von Reichenau and Sperrle at Obersalzberg. Schuschnigg, together with G. Schmidt are being put under the heaviest political and military pressure. At 2300 hours Schuschnigg signs protocol. In the afternoon, General K asks Admiral C [Canaris] and myself to come to his apartment. He tells us that the Fuehrer's order is to the effect that military pressure, by shamming military action, should be kept up until the 15th. Proposals for these deceptive maneuvers are drafted and submitted to the Fuehrer by telephone for approval. At 2:40 [pm] the agreement of the Fuehrer arrives. Canaris went to Munich to the Counter-Intelligence Office VII and [initiated] the different measures. The effect is quick and strong. In Austria the impression is created that Germany is undertaking serious military preparations. By surprise, and without consulting his ministers, Schuschnigg ordered a plebiscite for Sunday, 13 March, which should bring strong majority for the Legitimists in the absence of plan or preparation. Fuehrer is determined not to tolerate it. The same night, March 9 to 10, he calls for Goering. General v. Reichenau is called back from Cairo Olympic Committee. General v. Schebert is ordered to come, as well as Minister Glaise-Horstenau, who is with the District leader (Gauleiter) Buerckel in the Palatinate. General Keitel communicates the facts at 1:45. He drives to the Reichskanzlei at 10 o'clock. I follow at 10:15, according to the wish of General v. Viehbahn, to give him the old draft. Prepare case Otto. 1300 hours: General K informs Chief of Operational Staff (and) Admiral Canaris. Ribbentrop is detained in London. Neurath takes over the Foreign Office. Fuehrer wants to transmit ultimatum to the Austrian Cabinet. A personal letter is dispatched to Mussolini, and the reasons are developed which force the Fuehrer to take action. 1830 hours: Mobilization order is given to the Command of the 8th Army (Corps Area 3) 7th and 13th Army Corps; without reserve Army. March 12, 1938 Anschluss: The German Army marches unopposed into Vienna; Germany annexes Austria. From Jodl's IMT testimony: On 11 March, in the afternoon, I had news from the Reich Chancellery that the Wehrmacht was not to move in, but that the Police would pass through the Wehrmacht and move in alone. In the evening, however, on 11 March, at 2030 hours, the final decision reached me, which was that the Wehrmacht was to move in after all. I was unable to find out the reason for that hesitation . . . .
[It was not really an invasion by force], it was a purely peaceful occupation. It was characterized by my suggestion to the chief of the operations department of the Army that he should have bands marching at the head of the columns and that all drivers should be sure to wear goggles, otherwise they might be blinded by the flowers thrown at them . . . . It came off exactly as expected. There was jubilation and a triumphal march, such as the world probably has seldom seen--even though no one likes to acknowledge it today. The population came to meet us during the night already; the custom barriers were removed, and all the German troops called that march just a battle of flowers. March 12, 1938: Schuschnigg, after an initial period of house arrest followed by solitary confinement at Gestapo Headquarters, spends the remainder of the war in two different concentration camps, Dachau and Sachsenhausen. From Jodl's IMT testimony: I was told that the Fuehrer had decided: "I do not want a martyr [made of Schuschnigg], under any circumstances, but I cannot liberate him; I must put him in honorary custody." That was the impression I had during the entire war. 1. The line of German Foreign Policy as transmitted by the German legation is exclusively decisive for policy and tactics of the Sudeten German Party. My directives are to be complied with implicitly. 2. Public speeches and the press will be coordinated uniformly with my approval. The editorial staff of "Zeit" (Time) is to be improved. 3. Party leadership abandons the former intransigent line that in the end might lead to political complications and adopts a line of gradual promotion of Sudeten German interests. The objectives are to be set in every case with my participation and to be promoted by parallel diplomatic action. Laws for the protection of nationalities (Volksschutzgesetze) and 'territorial autonomy' are no longer to be stressed. 4. If consultations with Berlin agencies are required or desired before Heinlein issues important statements on his program, they are to be applied for, and prepared through, the Mission. 5. All information of the Sudeten German Party for German agencies is to be transmitted through the legation. 6. Heinlein will establish contact with me every week, and will come to Prague at any time if requested. I now hope to have the Sudeten German Party under firm control, as this is more than ever necessary for coming developments in the interest of foreign policy. Please inform ministries concerned and Mittelstelle [Central Office for Racial Germans] and request them to support this uniform direction of the Sudeten German Party. Most honored Minister of Foreign Affairs: In our deeply felt joy over the fortunate turn of events in Austria we feel it our duty to express our gratitude to all those who had a share in this new grand achievement of our Fuehrer. I beg you, most honored Minister, to accept accordingly the sincere thanks of the Sudeten Germans herewith. We shall show our appreciation to the Fuehrer by doubled efforts in the service of the Greater German policy. The new situation requires a reexamination of the Sudeten German policy. For this purpose I beg to ask you for the opportunity for a very early personal talk. In view of the necessity of such a clarification I have postponed the Nation-wide Party Congress, originally scheduled for 26th and 27th of March, 1938, for 4 weeks. I would appreciate if the Minister, Dr. Eisenlohr, and one of my closest associates would be allowed to participate in the requested talks. Heil Hitler. The Reichsminister started out by emphasizing the necessity to keep the conference which had been scheduled strictly a secret; he then explained, in view of the directives which the Fuehrer himself had given to Konrad Heinlein personally yesterday afternoon that there were two questions which were of outstanding importance for the conduct of policy of the Sudeten German Party. The aim of the negotiations to be carried out by the Sudeten German party with the Czechoslovakian Government is finally this: to avoid entry into the Government by the extension and gradual specification of the demands to be made. It must be emphasized clearly in the negotiations that the Sudeten German Party alone is the party to the negotiations with the Czechoslovakian Government, not the Reich Cabinet (Reichsregierung). The Reich Cabinet itself must refuse to appear toward the Government in Prague, or toward London and Paris, as the advocate or peacemaker of the Sudeten German demands. It is a self-evident prerequisite that, during the impending discussion with the Czechoslovak Government, the Sudeten Germans would be firmly controlled by Konrad Heinlein, would maintain quiet and discipline, and would avoid indiscretions. The assurances already given by Konrad Heinlein in this connection were satisfactory. Following these general explanations of the Reich Minister, the demands of the Sudeten German Party from the Czechoslovak Government, as contained in the enclosure, were discussed and approved in principle. For further co-operation, Konrad Heinlein was instructed to keep in the closest possible touch with the Reichminister and the Head of the Central Office for Racial Germans [mit dem Leiter der Volksdeutschen Mittelstelle], as well as the German Minister in Prague, as the local representative of the Foreign Minister. The task of the German Minister in Prague would be to support the demands of the Sudeten German Party as reasonable, not officially, but in more private talks with the Czechoslovak politicians, without exerting any direct influence on the extent of the demands of the Party. In conclusion, there was a discussion whether it would be useful if the Sudeten German Party would cooperate with other minorities in Czechoslovakia, especially with the Slovaks. The Foreign Minister decided that the Party should have the discretion to keep a loose contact with other minority groups, if the adoption of a parallel course by them might appear appropriate. April 19, 1938: From a top secret Nazi document, the Direction of War as a Problem of Organization; from the appendix entitled "What is the War of the Future?" Surprise as the requisite for quick initial success will often require hostilities to begin before mobilization has been completed or the armies are fully in position. A declaration of war is no longer necessarily the first step at the start of a war. According to whether the application of the rules of warfare create greater advantages or disadvantages for the warring nations, will the latter consider themselves at war or not at war with the neutral states. Fundamental conference between the Fuehrer and K. Heinlein. Major Schmundt reports ideas of the Fuehrer. Further conferences, which gradually reveal the exact intentions of the Fuehrer take place with the Chief of the Armed Forces High Command (OKW) on 28 May, 3 and 9 June, see enclosures. May 28, 1938: Hitler calls a conference of his principal military and political advisers in the winter garden of the Reichs Chancellery in Berlin. From an affidavit of Fritz Wiedemann, who at that time was Hitler's adjutant: I recall that on the afternoon of 28 May 1938, Hitler called a conference in the winter garden of the Reichs Chancellery of all the people who were important, from the Foreign Office, the Army, and the Command Staffs. Those present at this conference, as I recall, included Goering, Ribbentrop, von Neurath, General Beck, Admiral Raeder, General Keitel, and General von Brauchitsch. On this occasion, Hitler made the following statement: "It is my unshakable will that Czechoslovakia shall be wiped off the map." Hitler then revealed the outlines of the plan to attack Czechoslovakia. Hitler addressed himself to the Generals, saying: "So, we will first tackle the situation in the East. Then I will give you three to four years' time, and then we will settle the situation in the West." The situation in the West was meant to be the war against England and France. I was considerably shaken by these statements and on leaving the Reichs Chancellery I said to Herr von Neurath: "Well, what do you say to these revelations?" Neurath thought that the situation was not so serious as it appeared, and that nothing would happen before the spring of 1939. It is my unalterable decision to smash Czechoslovakia by military action in the near future. It is the job of the political leaders to await, or bring about, the politically and militarily suitable moment. An inevitable development of conditions inside Czechoslovakia, or other political events in Europe creating a surprisingly favorable opportunity, and one that may never come again, may cause me to take early action. The proper choice, and determined and full utilization of a favorable moment, is the surest guarantee of success. Accordingly, the preparations are to be made at once. 2. Political Possibilities for the Commencement of the Action: The following are necessary prerequisites for the intended invasion: a. suitable obvious cause and, with it b. sufficient political justification, c action unexpected by the enemy, which will find him prepared to the least possible degree. From a military as well as a political standpoint, the most favorable course is a lightning-swift action, as the result of an incident through which Germany is provoked in an unbearable way, for which at least part of world opinion will grant the moral justification of military action. But even a period of tension, more or less preceding a war, must terminate in sudden action on our part--which must have the elements of surprise as regards time and extent--before the enemy is so advanced in military preparedness that he cannot be surpassed. a. For the Armed War it is essential that the surprise element as the most important factor contributing to success be made full use of by appropriate preparatory measures already in peace-time and by an unexpectedly rapid course of the action. Thus it is essential to create a situation within the first four days which plainly demonstrates, to hostile nations eager to intervene, the hopelessness of the Czechoslovakian military situation and which at the same time will give nations with territorial claims on Czechoslovakia an incentive to intervene immediately against Czechoslovakia. In such a case, intervention by Poland and Hungary against Czechoslovakia may be expected, especially if France--due to the obvious pro-German attitude of Italy--fears, or at least hesitates, to unleash a European war by intervening against Germany. Attempts by Russia to give military support to Czechoslovakia mainly by the Air Force are to be expected. If concrete successes are not achieved by the land operations within the first few days, a European crisis will certainly result. This knowledge must give commanders of all ranks the impetus to decided and bold action. b. The Propaganda War must, on the one hand, intimidate Czechoslovakia by threats, and soften her power of resistance; on the other hand, issue directions to national groups for support in the Armed War, and influence the neutrals into our way of thinking. I reserve further directions and determination of the date. a. The mass of all forces must be employed against Czechoslovakia. b. For the West, a minimum of forces are to be provided as rear cover which may be required, the other frontiers in the East against Poland and Lithuania are merely to be protected, the Southern frontiers to be watched. c. The sections of the army that can be rapidly employed must force the frontier fortifications with speed and decision, and must break into Czechoslovakia with the greatest daring, in the certainty that the bulk of the mobile army will follow them with the utmost speed. Preparations for this are to be made and timed in such a way that the sections of the army which can be rapidly employed cross the frontier at the appointed time at the same time as the penetration by the Air Force, before the enemy can become aware of our mobilization. For this, a timetable between Army and Air Force is to be worked out in conjunction with OKW and submitted to me for approval. a. Army: The basic principle of the surprise attack against Czechoslovakia must not be endangered by the inevitable time required for transporting the bulk of the field forces by rail, nor the initiative of the Air Force be wasted. Therefore, it is first of all essential to the army that as many assault columns as possible be employed at the same time as the surprise attack by the Air Force. These assault columns--the composition of each, according to their tasks at that time--must be formed with troops which can be employed rapidly, owing to their proximity to the frontier or to motorization and to special measures of readiness. It must be the purpose of these thrusts to break into the Czechoslovakian fortification lines at numerous points, and in a strategically favorable direction, to achieve a breakthrough or to break them down from the rear. For the success of this operation, co-operation with the Sudeten German frontier population, with deserters from the Czechoslovakian army, with parachutists or airborne troops and with units of the sabotage service will be of importance. The bulk of the army has the task of frustrating the Czechoslovakian plan of defense, of preventing the Czechoslovakian army from escaping into Slovakia, of forcing a battle, of beating the Czechoslovakian army, and of occupying Bohemia and Moravia speedily. To this end, a thrust into the heart of Czechoslovakia must be made with the strongest possible motorized and armored units, using to the full the first successes of the assault columns and the effects of the Air Force operations. The rear cover provided for the West must be limited in numbers and quality, to the extent that suits the present state of fortifications. Whether the units assigned this will be transported to the Western frontier immediately, or held back for the time being, will be decided in my special order. Preparations must, however, be made to enable security detachments to be brought up to the Western frontier, even during the strategic concentration 'Gruen'. Independent of this, a first security garrison must be improvised from the engineers at present employed in constructing fortifications, and from formations of the Labor Corps. The remaining frontiers, as well as East Prussia, are to be only weakly protected. But, always depending on the political situation, the transfers by sea, of a part or even the bulk of the active forces of East Prussia into the Reich must be taken into account. b. Air Force. While leaving a minimum of defensive forces in the West, the Air Force is to be employed in bulk, in a surprise attack against Czechoslovakia. The frontier is to be flown over at the same time as it is crossed by the first section of the Army. From Jodl's IMT testimony: I did not participate in any of these conferences [but I did do General Staff work for "Case Green"--the Czechoslovakia operation]. In that general directive [May 30, 1938] for the unified preparation for war, two important cases were dealt with, or were to be dealt with: A defensive deployment against France if she opened hostilities--"Case Red"--and an offensive deployment--Case Green--against Czechoslovakia. That would have been worked out in just the same way. Even if we had not had an acute conflict with Czechoslovakia, because a war on two fronts, which was the problem we always faced, could never be conducted or won in any other way than by means of an attack against the weaker. This directive, as far as the Case Green is concerned, had to be drawn up afresh the very moment that Austria automatically became a new assembly zone. 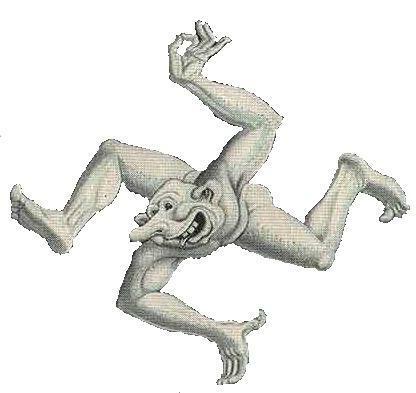 Thus, on 20 May 1938, a new draft was made by me for Case Green which began with the customary words: "I do not intend to attack Czechoslovakia by military action in the near future without provocation..." . . . .
On the 21st, the day after, a monstrous incident occurred. Czechoslovakia not only mobilized but even marched up to our borders. The Czechoslovakian Chief of General Staff explained this to Toussaint by saying that 12 German divisions had been assembled in Saxony. I can only state--and my diary entries prove it--that not a single German soldier had been moved. Nothing, absolutely nothing had happened . . . .
That was the information that I received, partly through General Keitel and partly through the then Major Schmundt, regarding the impression made on the Fuehrer. The result was that he personally changed my draft of 20 May and put at the beginning the following words: "It is my unalterable decision that Czechoslovakia must be destroyed within a reasonable period of time by military action. To decide upon the militarily and politically opportune moment is a matter for the political leadership." In that order of 30 May, three possibilities were mentioned by the Fuehrer as to how a conflict with Czechoslovakia might arise: 1) Without particular cause--politically impossible and out of the question; 2) after a prolonged period of tension--most undesirable, because of the lack of the element of surprise; 3) the best solution, after an incident, such as were happening nearly daily at that time, and which would justify us morally before the world if we decided to intervene. Furthermore, there was the command that, on the first day, the Army should break through the fortifications, in order to clear the way for the free operation of the mobile forces, the armored divisions, so that after 4 days such a situation would be created that the military position of Czechoslovakia would become untenable . . . . The entire directive ... was thoroughly revised in June. This was done because on 1 October a new mobilization year began, and because this directive ... was in any case planned to be valid only until 30 September 1938. The old directive was, of course, still in force until 1 October, but became invalid on 1 October through that directive which had been drafted by me on 24 June, or 18 June. In that directive, Case Green was mentioned in the sense of the Fuehrer's intention, namely that it was the immediate aim of his policy that from 1 October 1938--not on, but from 1 October 1938--every favorable opportunity was to be utilized to solve the problem of Czechoslovakia, but only if France did not interfere or march, or Great Britain either. The Fuehrer signs directive Green, where he states his final decision to destroy Czechoslovakia soon, and thereby initiates military preparation all along the line. The previous intentions of the Army must be changed considerably in the direction of an immediate break-through into Czechoslovakia right on D-Day [X-Tag], combined with aerial penetration by the Air Force. Further details are derived from directive for strategic concentration of the army. The whole contrast becomes acute once more, between the Fuehrer's intuition that we must do it this year, and the opinion of the Army that we cannot do it as yet, as most certainly the Western Powers will interfere, and we are not as yet equal to them. The immediate aim is a solution of the Czech problem by my own, free decision; this stands in the foreground of my political intentions. I am determined to use to the full every favorable political opportunity to realize this aim. However, I will decide to take action against Czechoslovakia only if I am firmly convinced as in the case of the occupation of the demilitarized zone and the entry into Austria that France will not march and therefore England will not intervene. The directives necessary for the prosecution of the war itself will be issued by me form time to time. The Army chiefs and the chiefs of the Air Forces groups, Lieutenant Colonel Jeschonnek, and I are ordered to the Berghof. After dinner, the Fuehrer makes a speech lasting for almost 3 hours, in which he develops his political thoughts. The subsequent attempts to draw the Fuehrer's attention to the defects of our preparations, which are undertaken by a few generals of the Army, are rather unfortunate. This applies especially to the remarks of General Von Wietersheim, in which, to top it off, he claims to quote from General Adams that the Western fortifications can be held for only 3 weeks. The Fuehrer becomes very indignant and flares up, bursting into the remarks that in such a case the whole Army would not be good for anything. 'I assure you, General, the position will be held not only for 3 weeks, but for 3 years.' The cause of this despondent opinion, which unfortunately enough is held widely within the Army General Staff, is based on various reasons. First of all, it (the General Staff) is prejudiced by old memories and feels responsible also for political decisions instead of obeying and executing its military mission. That is certainly done with traditional devotion, but the vigor of the soul is lacking, because in the end they do not believe in the genius of the Fuehrer. One does perhaps compare him with Charles XII. And since water flows downhill, this defeatism may not only possibly cause immense political damage, for the opposition between the generals' opinion and that of the Fuehrer is common talk, but may also constitute a danger for the morale of the troops. But I have no doubt that this, as well as the morale of the people, will encourage the Fuehrer enormously when the right moment comes. From Jodl's IMT testimony: I never understood the idea of such a group [an accusation by the Prosecution, that the military leaders are supposed to have formed a group with the aim of unleashing wars of aggression and, in the course of these wars, committing crimes against military law and the laws of humanity], and I never shall understand it. It is just as if the passengers of a passenger ship were to meet on an ocean liner, and there form a unit--or be obliged to form a unit--under the authority of the captain. This so-called group of high-ranking officers might possibly have existed in imperial times as an absolute entity, but not entirely even then. But here, after the National Socialist revolution, these groups broke up completely in all spheres of life, politically, philosophically, and ideologically. The goal that united them was the military profession and the necessary obedience . . . .
During that conference [August 10], the Fuehrer spoke to General Staff officers only, and gave them a talk that lasted for about two and a half hours on the whole military and political situation. In particular, he dealt with the Sudeten-German problem, and said that it would have to be solved, no matter what happened. He described the various possibilities and, in particular, made it clear that he intended to solve the question without interference from France and England and was confident he would succeed ... that in the main was the subject . . . . I know the reason [that the Commanders-in-Chief of the three branches of the Armed Forces and their chiefs were not there] because the Chief Adjutant, Major Schmundt, informed me of it before the conference. He told me that it was the Fuehrer's intention to speak directly to the senior General Staff officers, at a time when they would not be under the influence of their too-critical Commanders-in-Chief, and thus not inclined to balk or criticize . . . . I could not say that there was criticism [from the General Staff officers]; but one of the generals believed that he could or should draw the Fuehrer's attention to the possibility that France and England might interfere after all, if he did something against Czechoslovakia. That was General Von Wietersheim . . . . The Fuehrer did [exclude the highest military leaders from such conferences] quite often. I would say that he did it on principle. For instance, after our unsuccessful attack on the bridgehead at Nettuno, southwest of Rome, he ordered the junior officers, who were taking part in these battles, from the regimental commanders down to the company commanders, to come to the Fuehrer's headquarters. For days he personally interrogated each one of them alone without their superiors being present. He did the same thing very, very often with Air Force officers, whom he interrogated without the Commander-in-Chief of the Air Force present . . . .
As long as, during these orientation conferences on the situation only, things that had already happened were discussed, the Fuehrer was very generous about who took part in them. But as soon as something was discussed which dealt with future operations--for instance, the attack on Russia in 1942--commanding generals of an army group from the Western Front could not take part. Nor was it possible the other way round, so that so far as his intentions were concerned, he would only initiate such officers as had to be informed for official reasons . . . . And so it was that the chief adjutant would announce, on behalf of the Fuehrer, that a discussion among the smallest circle would now take place, in which only such and such officers could take part . . . . I can say that, not a single conference took place without the old traditional conceptions, if I may call them so, regarding operations coming into conflict with the revolutionary conceptions of the Fuehrer. Therefore, apart perhaps from single operations during the first part of the war, I can state that, whenever a commanding general of an army group made such a report, there was a clash of opinions. I could mention the names of all the commanding generals of army groups who ever held a post. I know of none to whom this would not apply. Visit to Germany of the Hungarian Regent [Reichsverweser]. Accompanied by the Prime minister, the Minister of Foreign Affairs, and the Honored Minister v. Raatz. They arrive with the idea that in the course of a great war, after a few years, and with the help of German troops, the old state of Hungary can be reestablished. They leave with the understanding that we have neither demands from, nor claims against them, but that Germany will not stand for a second provocation by Czechoslovakia, even if it should be tomorrow. If they want to participate at that moment, it is up to them. Germany, however, will never play the role of arbitrator between them and Poland. The Hungarians agree; but they believe that, when the issue arises, a period of 48 hours would be indispensable to them to find out Yugoslavia's attitude. August 23, 1938: After Mussolini sends a message to Berlin, asking that he be told the date on which Case Green would take place, the German response is outlined in a German Foreign Office note of a conversation with Ambassador Attolico, signed by Ribbentrop: On the voyage of the Patria, Ambassador Attolico explained to me that he had instructions to request the notification of a contemplated time for German action against Czechoslovakia from the German government. In case the Czechs should again cause a provocation against Germany, Germany would march. This would be tomorrow, in six months or perhaps in a year. However, I could promise him that the German government, in case of an increasing gravity of the situation or as soon as the Fuehrer made his decision, would notify the Italian Chief of Government as rapidly as possible. In any case, the Italian government will be the first one who will receive such a notification. FAIR USE NOTICE: This site may contain copyrighted material the use of which has not always been specifically authorized by the copyright owner. We are making such material available in our efforts to advance understanding of historical, political, human rights, economic, democracy, scientific, environmental, and social justice issues, etc. We believe this constitutes a 'fair use' of any such copyrighted material as provided for in section 107 of the US Copyright Law. In accordance with Title 17 U.S.C. Section 107, the material on this site is distributed without profit to those who have expressed a prior interest in receiving the included information for research and educational purposes. If you wish to use copyrighted material from this site for purposes of your own that go beyond 'fair use', you must obtain permission from the copyright owner. Note: This material, which is available in its entirety at the outstanding Avalon and Nizkor sites, is being presented here in a catagorized form for ease of study and is not meant to supplant or replace these highly recommended sources.